So Eli Roth is directing kids movies now? What an interesting turn of events. 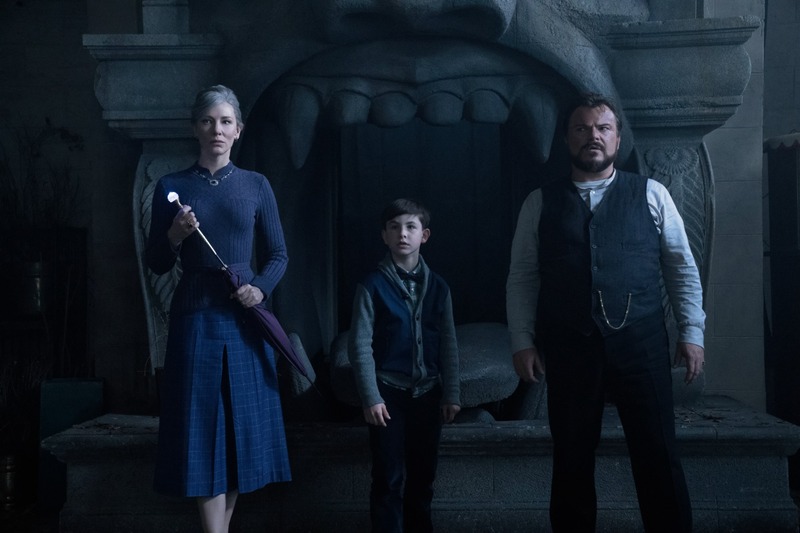 Based on the 1973 novel of the same name, The House with a Clock in Its Walls takes us on an adventure filled magical ride that sees sorcery and fantasy living side by side. Orphaned by a freak accident that took his parents to an early grave, ten-year old Lewis Barnavelt (Owen Vaccaro) finds himself adopted by his mother’s estranged brother, Jonathan Barnavelt (Jack Black), a man who lives in what many around town consider to be a haunted house. Accompanied by his friend and next-door neighbor, Florence Zimmerman (Cate Blanchett), Uncle Jonathan does his best to hide what the house really is and what its original intentions are, all the while keeping even more of its dark secrets under wraps for fear that it might put young Lewis in jeopardy. But when Lewis slowly begins to realize that his new home is much more than it seems – much more than what he could have possibly dreamed of – he’s fast tracked by both his uncle and Florence into becoming a warlock, or boy witch, before the mysterious and dangerous clock within the house’s walls ticks down to zero. Now, with the house slowly sliding into chaos and rumors of an evil warlock’s dark return running amok, will Lewis and his new family be able to stop the oncoming darkness from spreading, or will the house with a clock in its walls spell doom for everyone involved? Going back to what I mentioned before, yes, Hostel creator, gore maestro and all around hard R-rated director, Eli Roth, has directed his first family friendly feature, and it’s actually much better off because of him. Don’t get me wrong, this PG rated adaptation is a very far cry from Roth’s previous work (no blood and guts in this one), but his sense of style and use of his trademark horror sensibilities do wonders to give this film an added layer of competence and gloss that a usual “by the numbers” adaptation is usually lacking. Going in I actually had no clue that Roth was behind the lens for this one, never even crossed my mind that this would be a project he would pick up, so once I saw his name roll through the credits, it all seemed to make a little more sense. 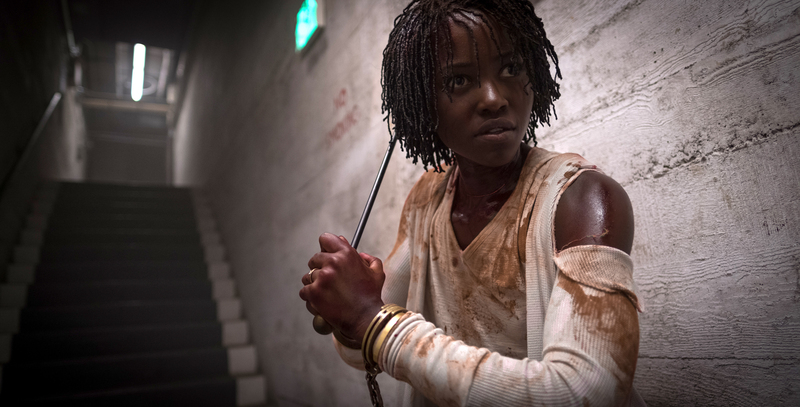 With a handful of scenes that ratcheted up the tension and light-horror imagery quite nicely, I was impressed well before knowing the creative driving force behind them, and is a perfect example of why a filmmaker who isn’t necessarily thought to be cut out for a certain type of movie can most definitely bring something new to the table when the need for it arises. But when it comes to the rest of the film, Roth isn’t exactly able to hold it all together as much as he had hoped. The story, while more so focusing on introducing the audiences and Lewis to this new fantasy world, almost seems to rush the entire purpose of the film: the clock in the house’s walls and the evil warlock named Isaac Izard (Kyle MacLachlan) returning from the dead. 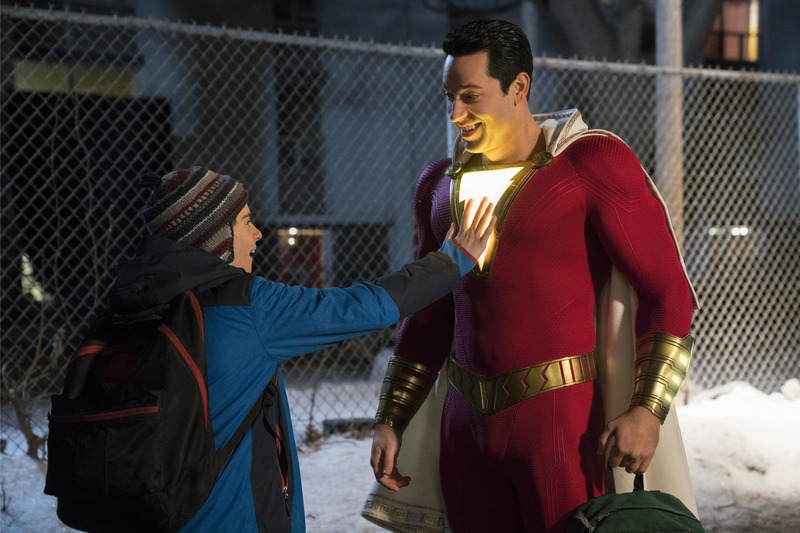 Granted, when a film focuses more so on world building rather than the forward momentum of the story, certain elements are going to have to be cut or simply not fleshed out as much as other aspects of the film. 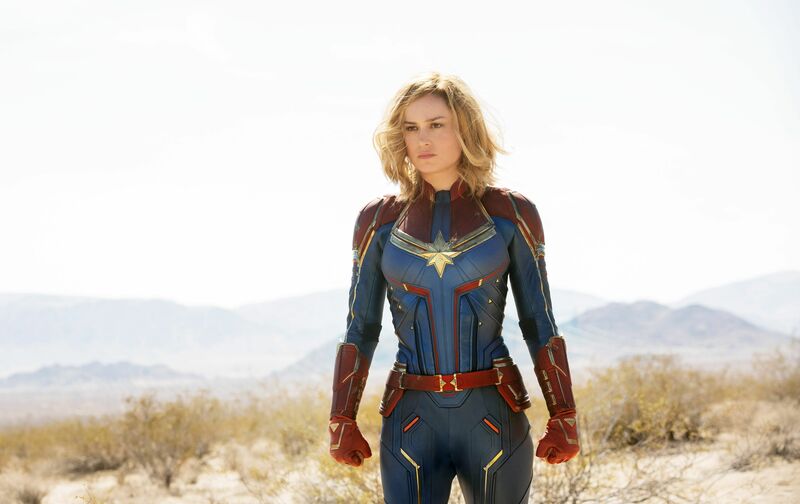 In the opposite, when you have too much world building and not enough of a backbone when it comes to developing memorable stories within that world, you come away with a film that feels and looks right, but doesn’t necessarily play out as well as one would have hoped by the time the final act concludes. I don’t blame Roth exclusively for this, but when you adapt any novel for the big screen, you have to realize that it’s most likely popular for a reason i.e. having great characters and a great story etc., so when you decide to only focus on certain aspects of said book, the final cut seems a bit lacking in regards to what is supposed to hold it all together. 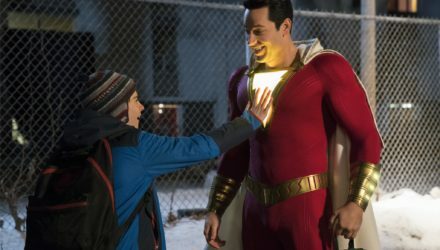 That being said, the acting and character work is quite good, but again, nowhere near as good as it could have been if the script gave the actors/characters a little more to do rather than simply move from scene to scene trying to wow you with the spectacle of it all instead of reeling you in with a rich story to invest in. I guess the best way to put it (and without having read the original novel myself to compare the film to) is that there’s a lot of untapped potential in a film like this, especially with the caliber of talent both in front of and behind the camera. I’d like to see a sequel to this one, even if just to correct some of the missteps that stopped this adaptation from becoming something even better than it already is, but as it stands, there’s just too many “average” things happening in regards to the story and scripting that I can’t fully get behind. By the end of this film I couldn’t help but feel like I had experienced something my ten-year old self would have loved. 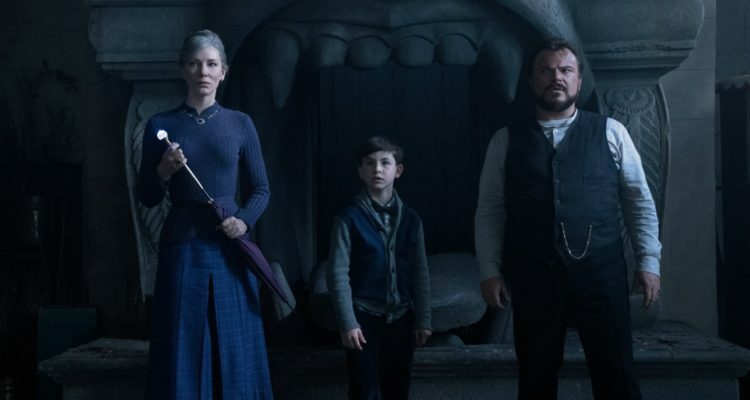 It’s got enough going for it visually and tonally to give the film a fun, entertaining vibe, and while certain elements feel derivative like a poor man’s Harry Potter (the original book did come out way before HP in all fairness), The House with a Clock in Its Walls does a lot right in terms of delivering audiences a solidly directed, acted and shot film, with just the right amount of humor, danger and excitement to give families a film worth heading to the theater for. And although I loved the memorable world building and near constant sense of wonder, I do wish that the story was a bit more urgent and that the typical “end of the world” scenario held more weight. Otherwise, you can’t go wrong with a film like this, so check it out if you’re even remotely interested.